On 5 August 2007, Jimmy Barnes and band plus 19-,piece string, horn and woodwind ensemble and featuring arrangements by the legendary Jackie Orszaczky, played a one-off show at the Sydney Opera House for the MAX SESSIONS. Many of these songs had never been played live before. The show opened with the Cold Chisel classic Flame Trees and was to touch on hits from his entire career including Four Walls, Still On Your Side and the rarely performed When Your Love Is Gone and Come Undone which featured a cameo from Diesel. A highlight of the evening however, was Out in the Blue which is the title track of the new album. Since getting sober in 2001, Jimmy’s career has entered a new phase. The 2005 album DOUBLE HAPPINESS returned him to the Number One spot on the charts. Early in 2007, he underwent open-heart surgery and that experience is reflected on the OUT IN THE BLUE album. His music retains the passion that has made him a household name but with more intensity and less sheer volume. The new songs including the Neil Finn-penned Blue Hotel, cover tough rock, a slight country shuffle and some on his best ballads. Almost entirely written by Jimmy during his recovery from surgery, this album is intimate and personal and very much Jimmy from the heart. It was a night never to be repeated. Fortunately, it’s been captured on DVD. 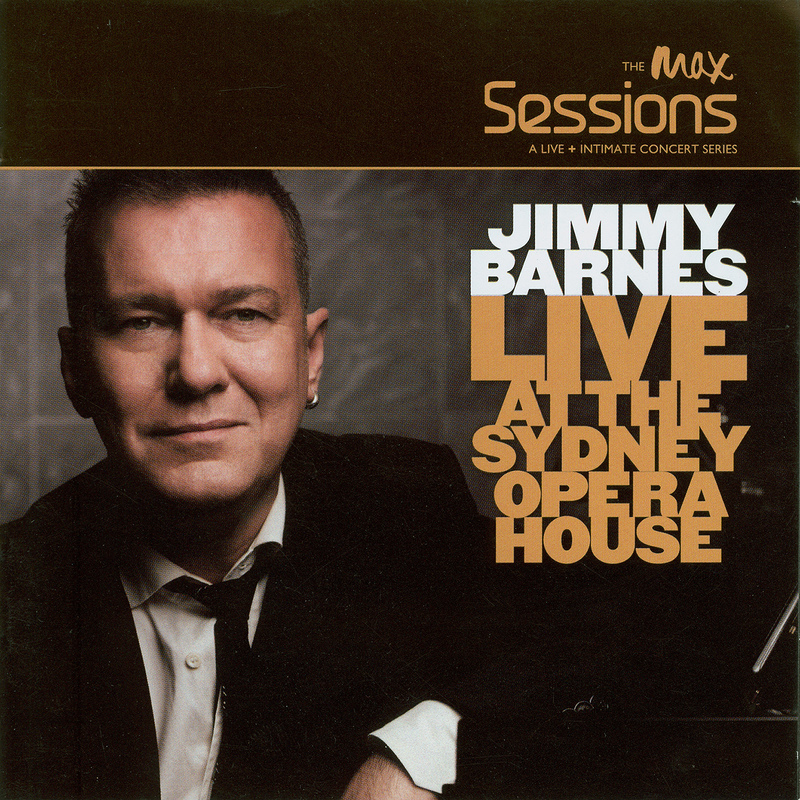 THE MAX SESSIONS is Jimmy Barnes as you’ve never heard him before….